Looking to bulk up your résumé? 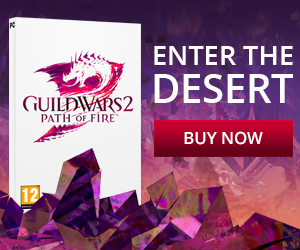 Or maybe you’d just like to indulge your passion for all-things Guild Wars 2? Whatever your motivations for joining the GuildMag team, new members are always welcome! We’re looking for dedicated fans of the Guild Wars franchise to join our team of friendly players in producing our content – whether that’s contributing to the magazines, web articles or streaming under the GuildMag name. In return, you’ll gain experience in teamwork, digital content production and management, as well as occasional in-game rewards and opportunities to engage with other content creators. Please note that all positions are on a voluntary basis, and as such should not be considered as an employment opportunity. Our writers are the core content creators for GuildMag; each one has their own unique voice and area of interest, using their knowledge and passion for Guild Wars to produce articles that our readers love. Some specialise in lore or fiction, whilst others write about any topic that takes their fancy, whether it be the Living World, community creations, opinion pieces or anything else. There’s lots of room for creative freedom, and each magazine always brings something different to explore. A good level of written English (you don’t need to be perfect – that’s why we have copyeditors!). A strong writing style that’s entertaining to read – let your personality shine in what you write! An experienced player of Guild Wars 2 (and maybe the original games too). You should have played Guild Wars 2 for at least 6 months. Good time management; we sometimes work on strict deadlines for each magazine, so you need to be able to accommodate this. An example of a piece of writing you have created yourself. This can be something you’ve already published, or something written just for this application. Editing is an extremely important process at GuildMag: our copyeditors ensure that everything we publish is of a high quality, free from errors and is ultimately engaging to our audience. Writers work alongside the team of copyeditors to not only check grammar, but also bounce ideas back and forth for interesting articles. Whilst this role involves mostly checking over other’s work, there is also ample opportunity to engage in your own writing too, should you wish. An excellent level of written English, with an ability to identify and correct common mistakes. Good design is key to every magazine we produce. We’ve come a long way since our initial issues, and the look and feel of each magazine is constantly evolving. Our design team are responsible for making each article as visually appealing as possible, drawing readers in and showcasing the writer’s ability. Each designer is given creative freedom to produce spreads that make people go “wow”, reporting directly to the Editor-in-Chief to make this happen. If you’ve got a good eye for what looks good and what doesn’t, this could be the role for you. An eye for good design – you don’t need to be able to produce graphics (though this is desirable), just be able to lay out articles in a visually-pleasing manner. A portfolio of your work, including magazine spreads and promotional posters. Do you have an entertaining personality? 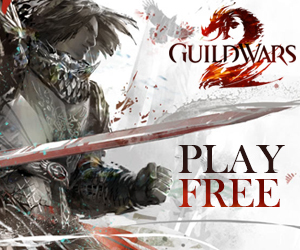 We’re looking for individuals to stream Guild Wars 2 gameplay to our Twitch channel and help grow our streaming audience. As a streamer, you’ll be comfortable being on camera and interacting with live viewers in a pleasant and entertaining manner. You should have a game mode or activity which you’re particularly fond of, and be willing to pitch ideas for new shows on the GuildMag channel. In return for streaming for GuildMag, we’ll help support your own personal channel. A funny, engaging or otherwise entertaining individual who’s comfortable in front of an audience. The right hardware! Due to the demanding nature of streaming, your PC specs and internet speed will be tested – make sure you can stream comfortably at 1080p/30fps. Something unique – are you a complete newbie and ready to share your experience? Or perhaps a competent raider who loves showing off their prowess? We want unique streams that people want to watch. Examples of previous streams you’ve undertaken on your personal Twitch channel, or any other. At least one should be of Guild Wars 2. Unfortunately we cannot accept applications from anyone under the age of 16. We hope you will continue to support our content and consider re-applying when you're older! Anything else we should know about you? Last chance to sell yourself! This may be work you've had published elsewhere, or something original just for this application. We accept up to 3 PDFs. This may be work you've had used elsewhere, or an original design made just for this application. We accept up to 3 PDF/PNG/JPG files.